Schlock-Wire: Buy Yourself A Piece Of Exploitation Film History With CRITICAL CONDITION’s Amazing Ad-Mat Collection! – Schlockmania! 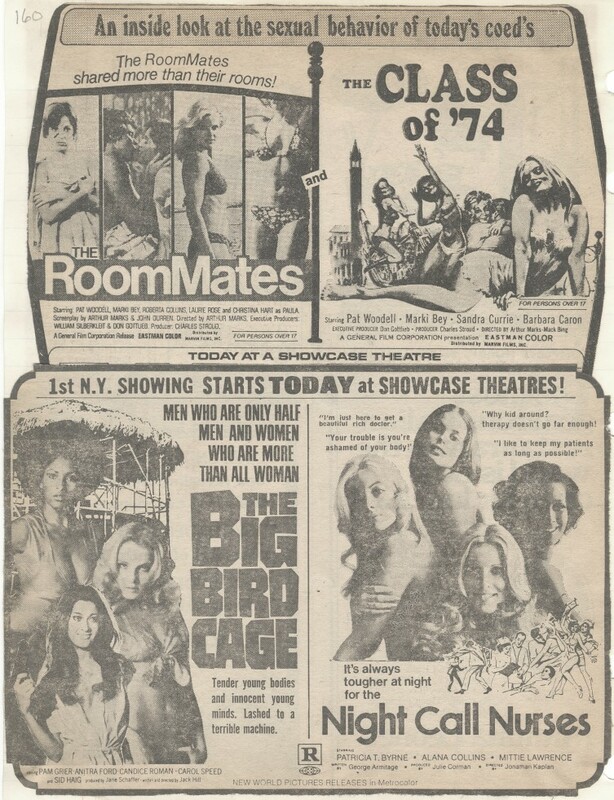 Like anyone who loves the history of exploitation and horror filmmaking, Your Humble Reviewer is fascinated by the ad-mats that were used to sell these kinds of films to the public. Newspaper advertising for films is quickly being phased out today in these internet-driven times but it was once a key method of promoting films. The ads the studios would devise to hook the moviegoing public were often as eye-catching and hyperbolic as the trailers they would play in the theaters. Thus, it is a great pleasure to bring you the news that a crash-course in the history of this advertising approach is now available for your education and entertainment. Fred Adelman of the Critical Condition zine and website has recently created a comprehensive set of scans drawn from his legendary ad-mat collection. Said collection covers nearly two decades worth of advertising from the golden era for these films – 1970 to 1994 – and fills 3200 binder pages. Fred has painstakingly scanned these pages for 300 dpi image quality and compiled them into a 2-DVDR set offering nearly 8 GB’s worth of eye-popping ads. A few samples, downgraded to 100 dpi, are included here for your viewing pleasure. Be sure to click on them – and remember the Criticial Condition set will include them at an even-better-looking 300 dpi resoluation. And if you aren’t familiar with Fred’s site, then make sure you stick around and browse awhile. There are tons of fun, zine-style reviews for all manner of exploitation flicks and multiple galleries of video-box covers from classic indie labels that specialized in b-movie fare. Time there is time well spent for exploitation-flick scholars.